The word “freedom” originated in England. Freedom means that individuals have opinions and ideas based on their own thoughts, and that they are responsible for their own actions. As a result, an individual’s reputation, position, and even their life depends upon their actions. The person that first sought to achieve this freedom was Thomas Arnold, who sought to implement John Locke’s theories of education in the English public school system in the 19th century. This was English “gentleman’s education,” which has a lot in common with Japanese bushido. I think that freedom in the midst of privation builds character in people. Simply put, we work most of the week before having one or two days of rest. On these days, the feeling of freedom is unparalleled. However, people that live a totally unfettered lifestyle crave even more selfish stimulus, and end up acting stupidly to fulfil this craving. “I die of thirst beside the fountain” is a line from Ballade by the 15th-century French poet François Villon. My motto is to never drink that which is forbidden to me, even if it kills me. In order to live fully, you must burn. In order to ignite a fire, you need fuel. Fuel is always dangerous. Whether the fuel is petrol, gas, or electricity, one misstep can start a fire that gets out of control and endangers your life. The fuel to live fully is also dangerous. It is privation and irrationality. People seek stability and happiness. However, I think this is a reward that is only available to those that have experienced instability and unhappiness that that have the courage to overcome it. People that live a totally unfettered lifestyle and are protected by the adults and public institutions around them do not possess true courage. 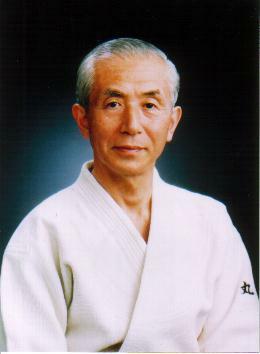 Brothers and sisters of Aikido Yuishinkai, I want you to just keep walking forward. There is no need for reason or logic. Allow yourself to be a bit crazy and just go forward.